We are committed to making sure all our customers are happy and pleased with our products and services and we underline this obligation with a full satisfaction guarantee. The order arrived incomplete or damaged during the shipment. If you have any other complaint about our products or services then we would like to hear from you so we can put things right and try and improve on what we do. We have two levels of complaint depending on how serious you feel your issue is; informal complaints and formal complaints. Most complaints can be dealt with or via our informal complaints procedure. 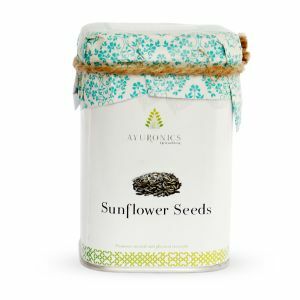 To fulfill the requirement you will need to either email us at sales@ayuronics.com, also providing your name and contact details and aexplanation of your complaint. If feasible / appropriate, please include your order number and the batch number of the product which can be found by the best before date. We will respond to your complaint as soon as possible. Alternatively you can call us on +91-8558887718/19 during office hours: Monday to Friday, 9:30am until 6:00pm. If you feel that you would like to make a formal complaint, please write us a letter defining the issues and if possible, include your contact details and your order number and the batch number of the product which can be found on the back of the product packaging. For the postal address please go to the Contact Us page. We will acknowledge receipt of your letter and ensure that the matter is looked into as soon as possible. An initial response to any complaint can be expected within seven days of its receipt; a full and considered response to the complaint should be completed within 30 days and any resolutions implemented with the minimum of delay.